Loft in a private condominium, with swimming pool, playground, and 24H security. The apartment is located near the Park of Nations. In design only high quality materials and modern finishes were used. The apartment is very light through the glass panels offer plenty of natural light. Loft consists of living room combined with kitchen total area of 23 sqm and a room of 15 sq.m. Perfectly located, just 2 minutes walking from the metro and recreation areas. The apartment goes with 2 parking spaces and storage. The apartment is located in one of the most prestigious areas of Lisbon, with easy access to services, retail outlets, transportation and entertainment. Apartment has great views on the Tagus River. 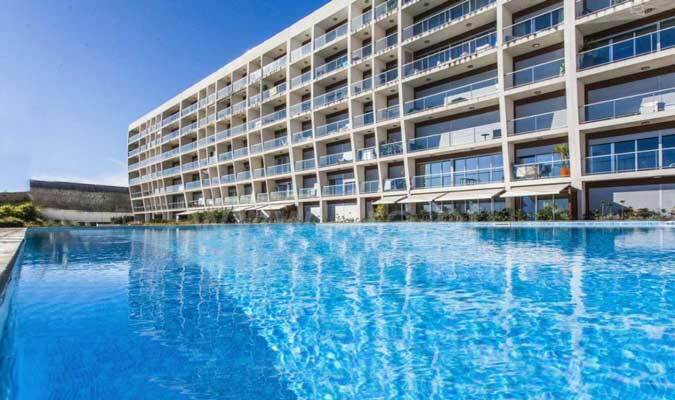 The apartment is situated near to the following places: Lisbon casino, several restaurants, pharmacies, banks, shopping center Vasco da Gama, MEO Arena (Concert Hall), Oriente Station (subway, bus, train). One of the advantages is its proximity to the airport and excellent access to major roads.